If you buy products from Amazon.com, you can put your shopping to work for Hansberry Garden and Nature Center by using Amazon Smile. 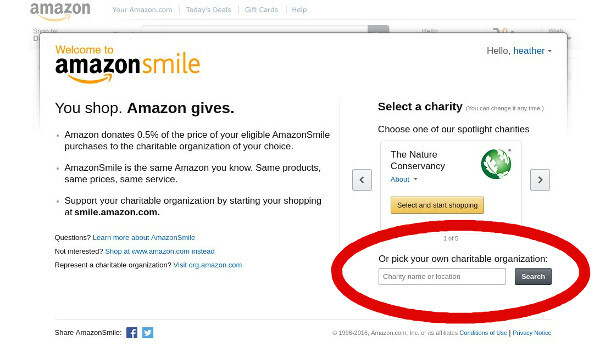 When you use Amazon Smile, the Amazon Foundation donates 0.5 percent of the price of your purchases to the charity of your choice. You don’t need a separate account to use Amazon Smile – simply sign in with your usual username and password at smile.amazon.com. The first time you sign in, you’ll be asked to choose a charity. Bypass the site’s featured charities, type in Hansberry Garden and Nature Center, and click “Search.” Then click the “select” button to make HGNC your charity of choice. Remember to use the alternative URL smile.amazon.com instead of amazon.com every time you shop on Amazon! If you’ve bookmarked the Amazon site, try editing your bookmark to point to Amazon Smile. The sites are identical except that purchases through the Smile address result in donations, whereas purchases through the standard address do not.